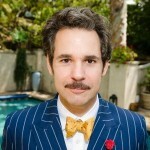 Methinks it’s time to have Paul F. Tompkins back on Who Charted?! That’s just what we did this week as the artist previously known as Suit McGoo jams with Kulap and Howard over Billboard Digital Downloads, Movies, and Chart Piñata. Where are Kelly Clarkson’s fans coming from? Who is the evilest Denzel Washington character? How do you play a chart game with a four-time guest? The answers to these questions and more await you on Who Charted? !